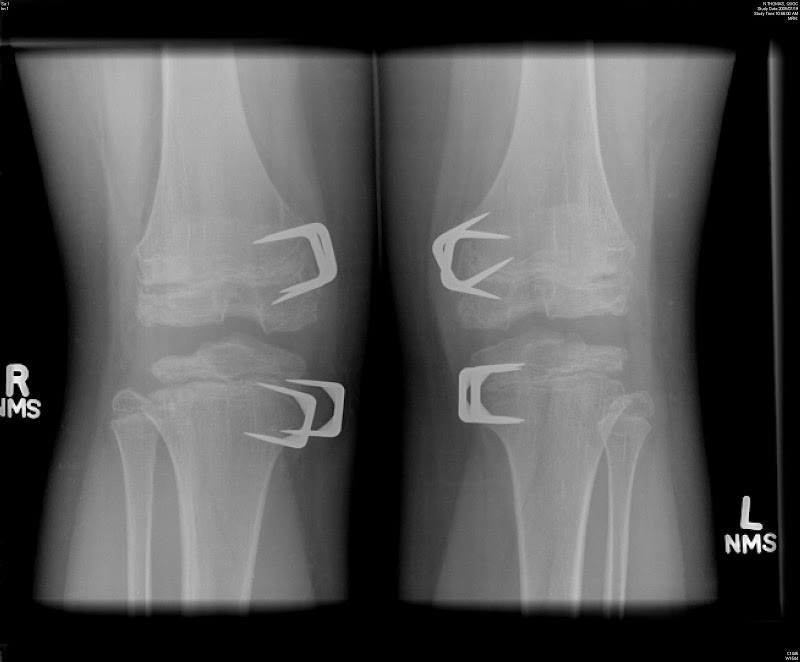 AP radiograph of both knees and hip shows irregularity and fragmentation of the epiphysis. 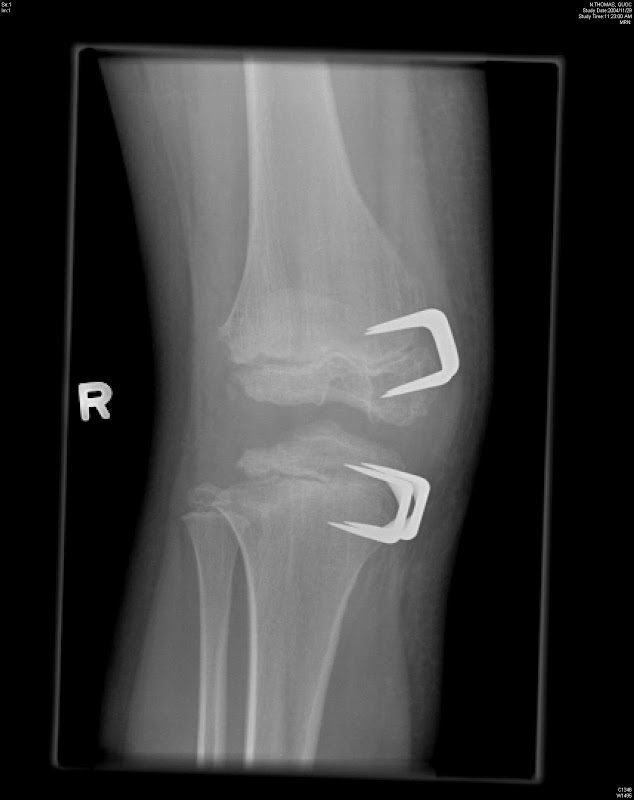 Multiple sites are involved. 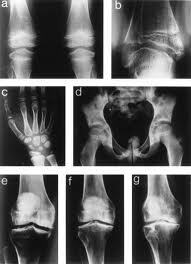 Genu Valgum and varus deformity may be present. 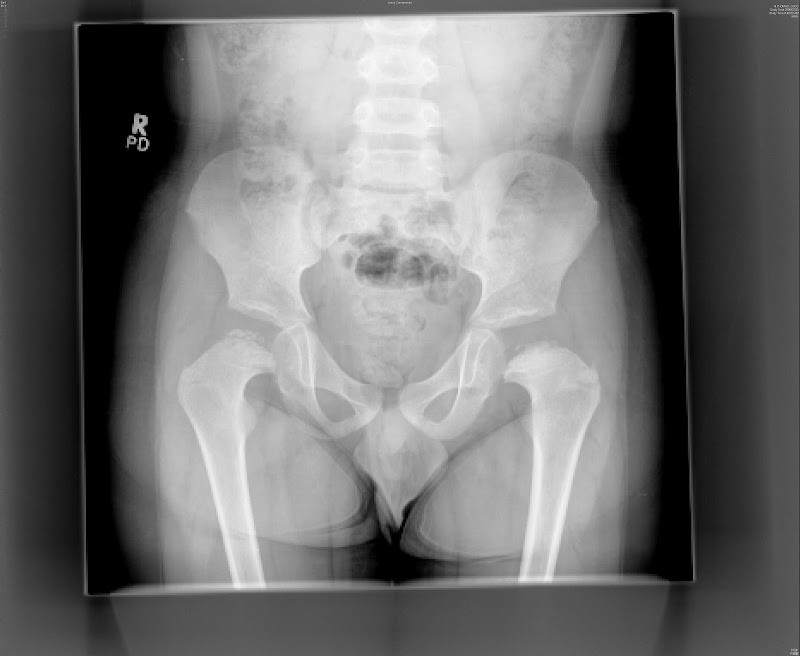 Hip radiograph may be mistaken for Perthes Disease. 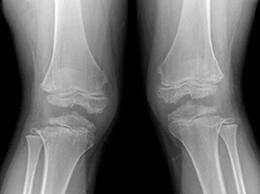 There is early onset of degenerative arthritis in patients with MED as the epiphyseal cartilage is weakened with mechanical forces of weight bearing and muscular activity.